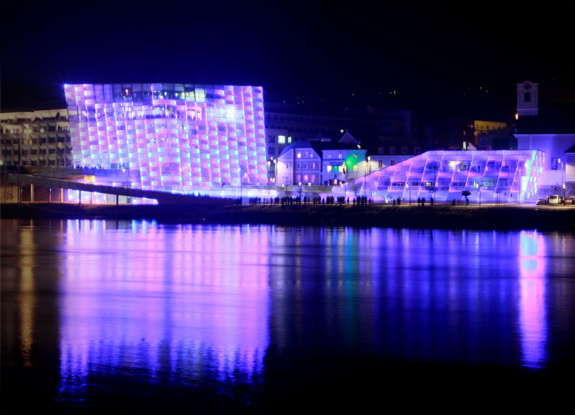 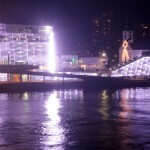 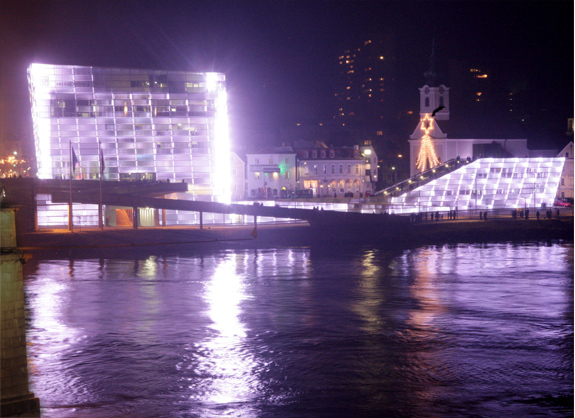 Lights On is an audio visual performance created for opening of the new Ars Electronica museum in Linz, Austria, which has a facade that contains 1085 LED controllable windows. 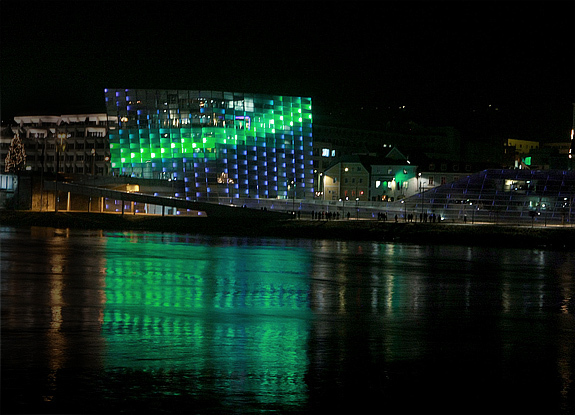 The windows’ colors are changed in realtime with music that’s broadcasted on speakers surrounding the building. 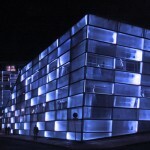 Credits: Daito Manabe, Damian Stewart, YesYesNo, Zach Lieberman. 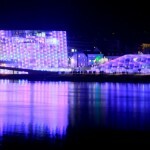 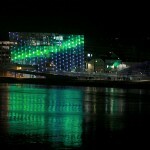 Client: Ars Electronica. 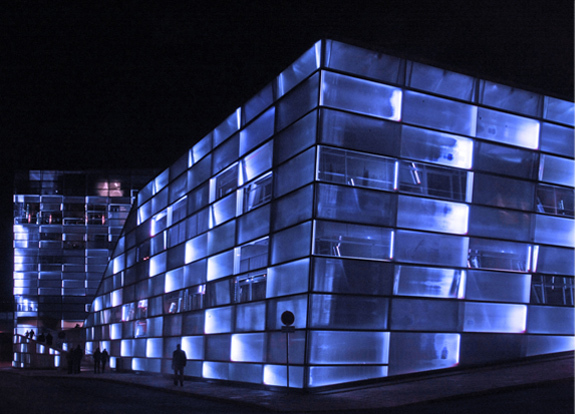 Medium: Interactive, Light, Sound.